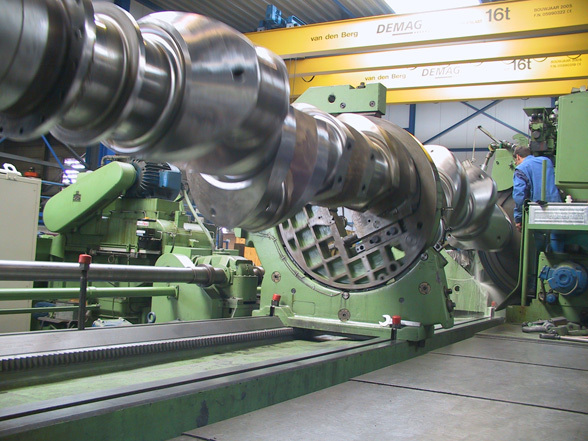 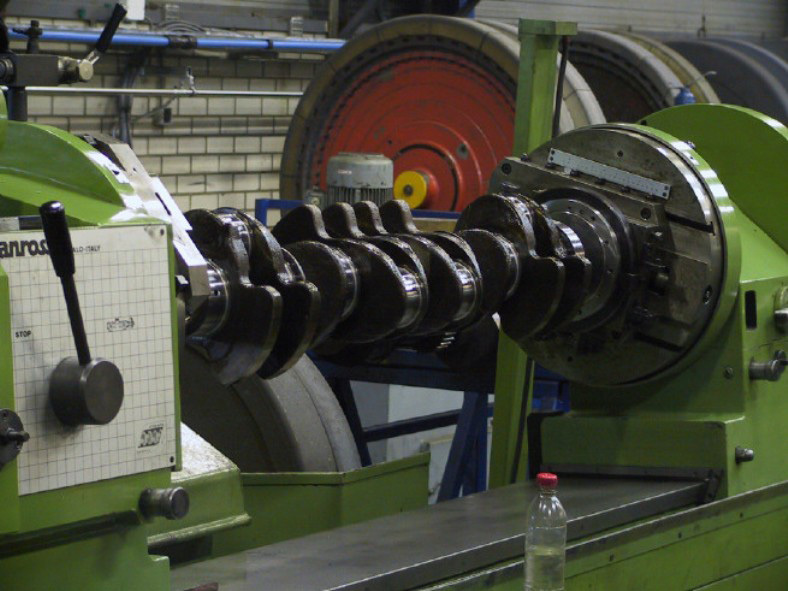 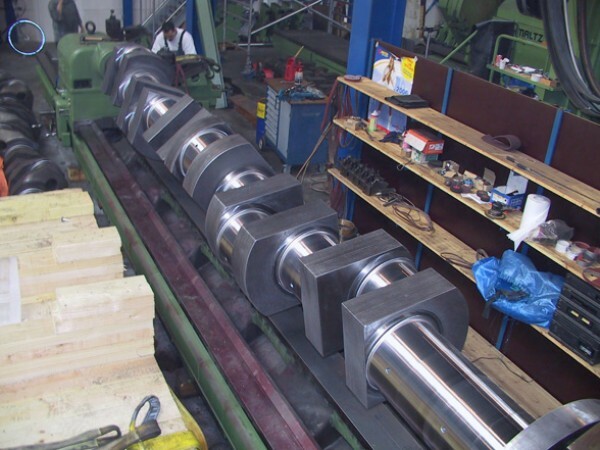 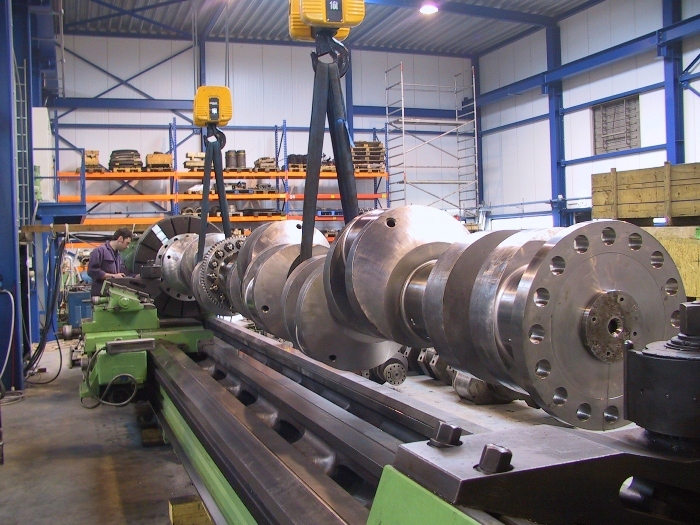 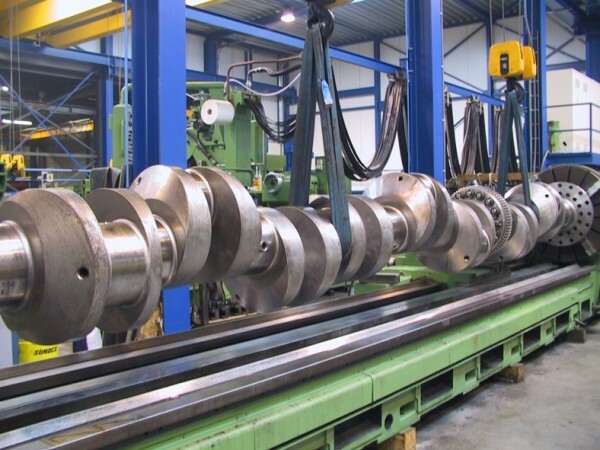 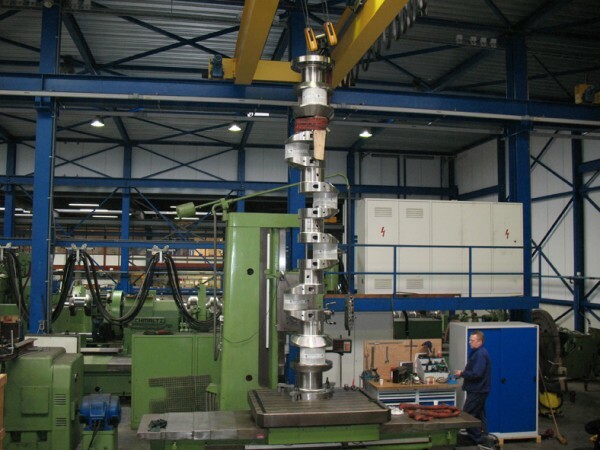 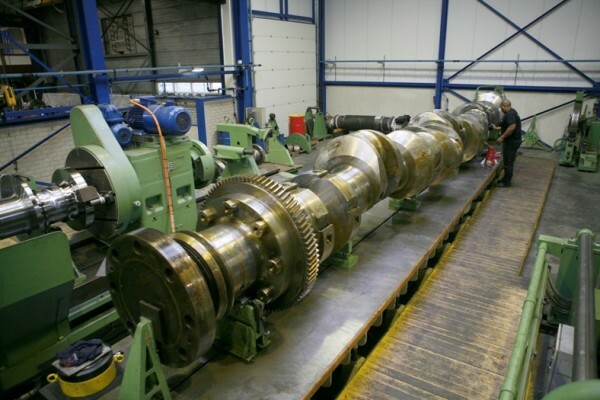 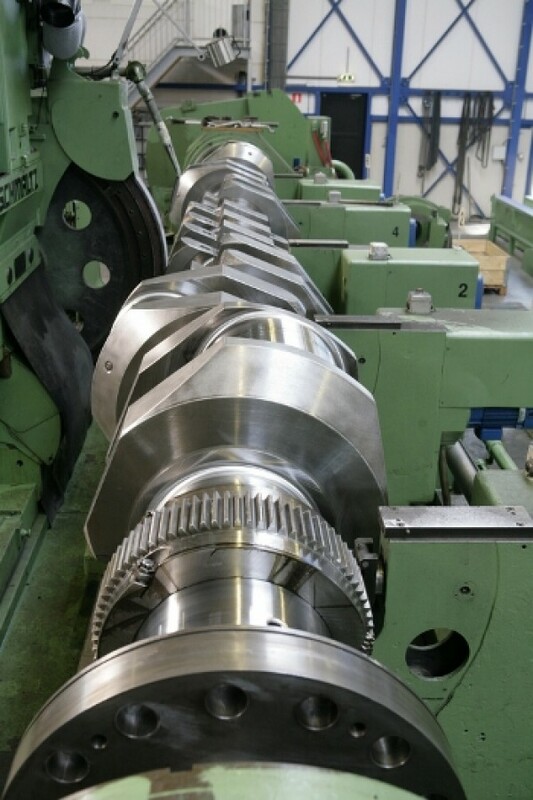 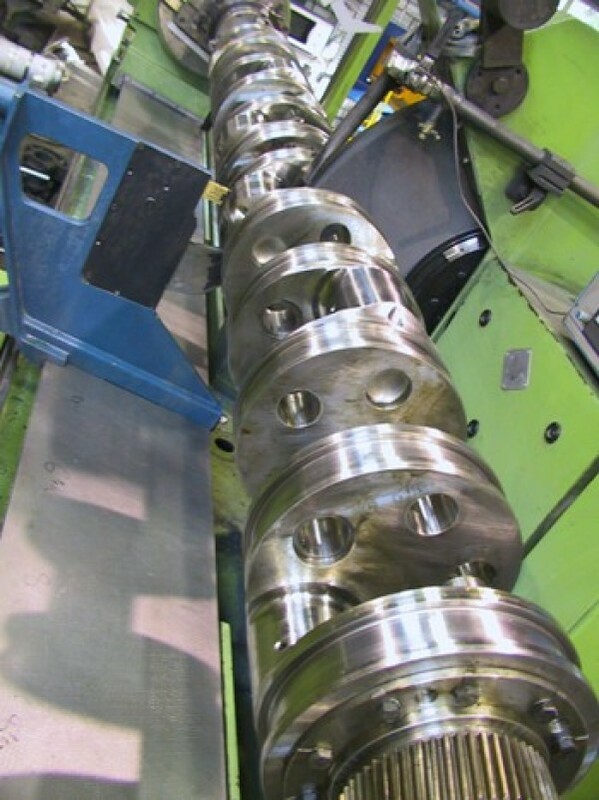 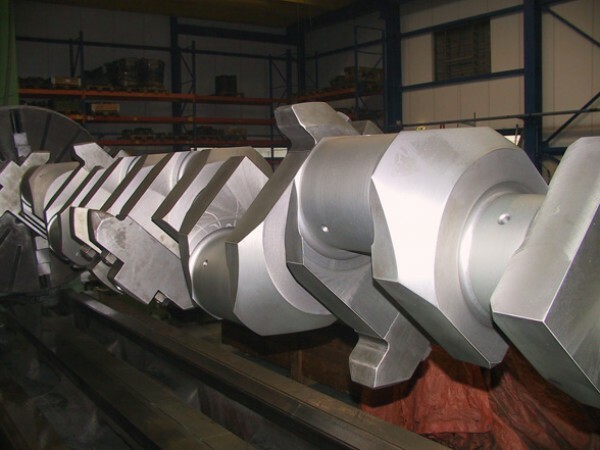 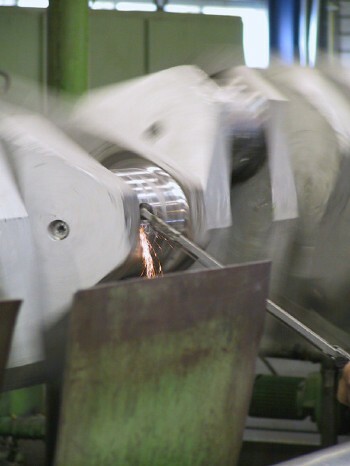 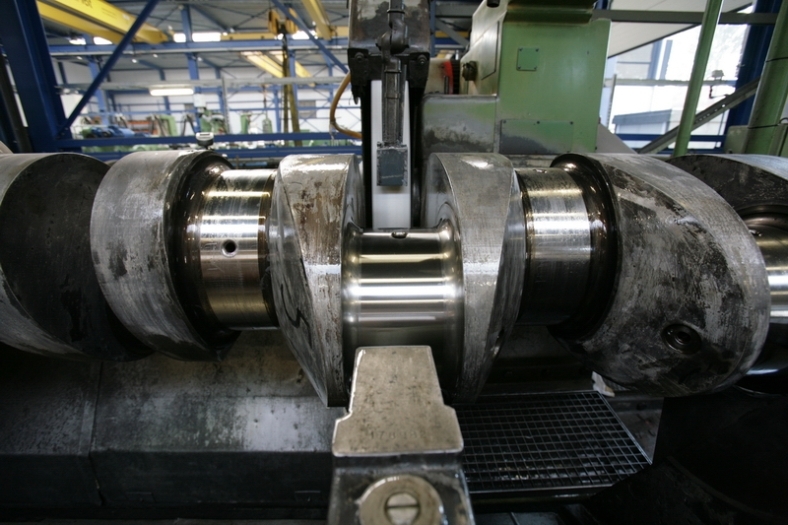 In our machine park we can machine crankshafts up to a length of 12 meters. 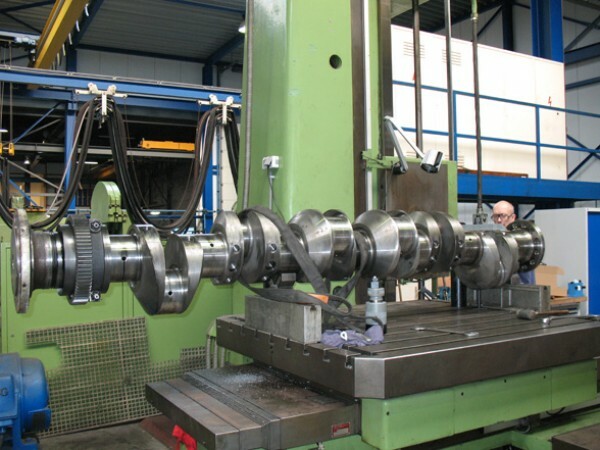 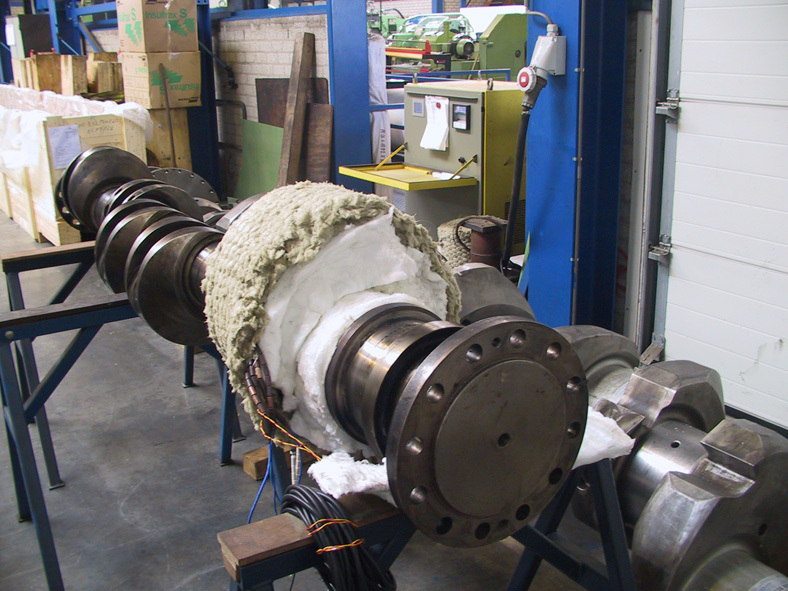 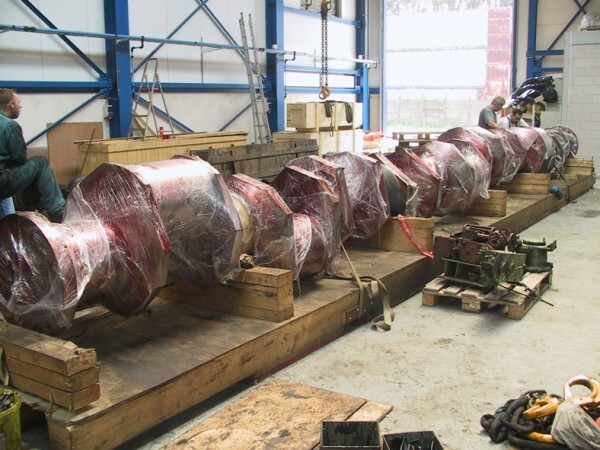 Our expertise enables us to repair crankshafts that would be rejected elsewhere. 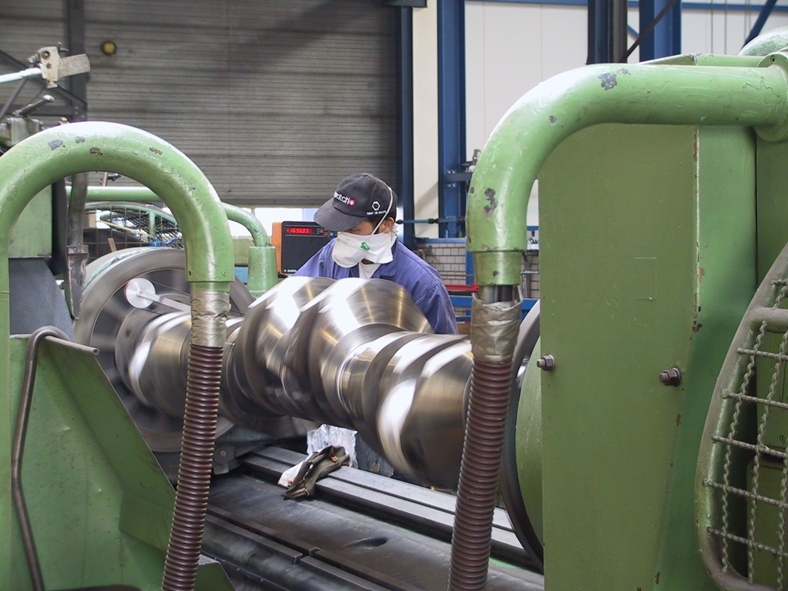 Of this check-up we will draw up a report in which we record our findings. 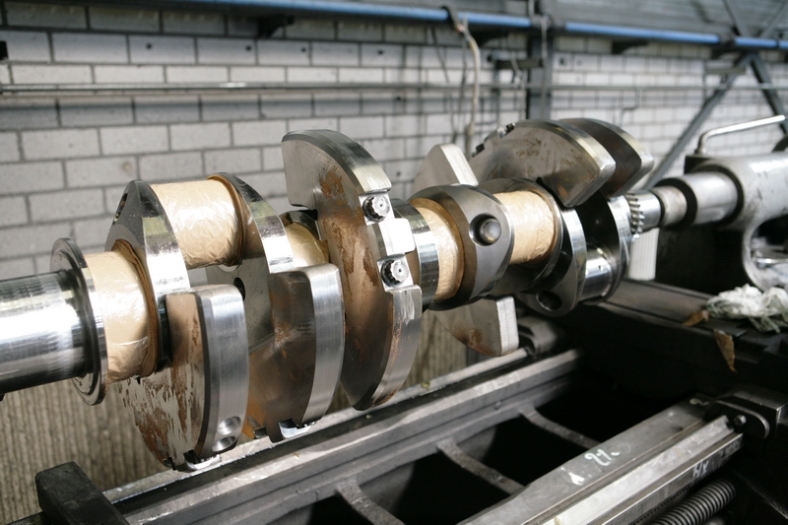 On the basis of this report we will advise you which steps are necessary to get the crankshaft back in top condition. In many cases we will proceed to grinding one or more main journals and/or crankpins. 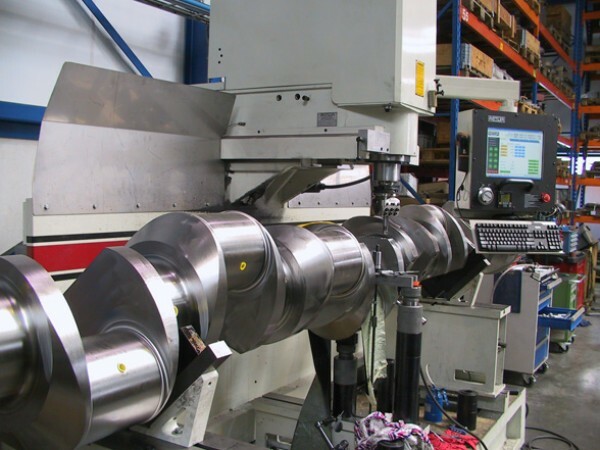 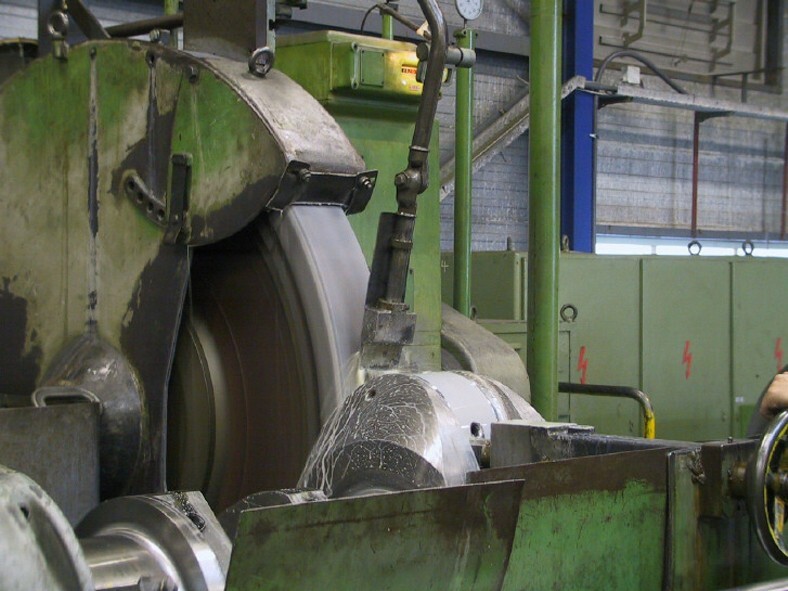 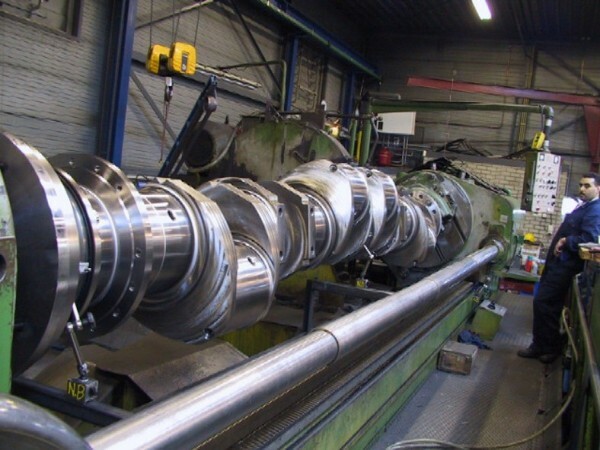 We can grind to the next possible undersize step, in which case a special bearing is required; we can provide that at the client's request. 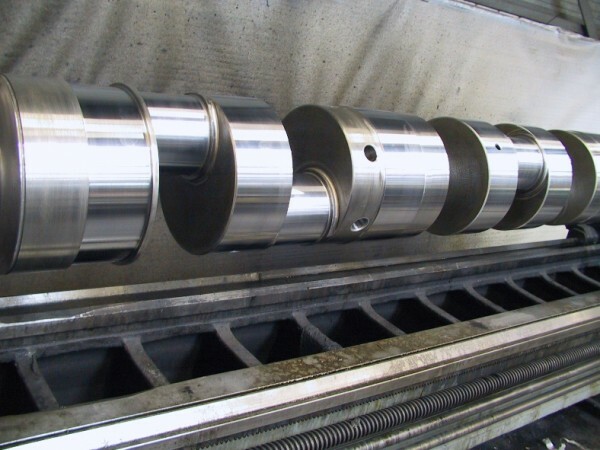 It is also possible to bring back a damaged shaft to standard size by means of pregrinding, hard chrome plating and hardchromegrinding.